It has been a favorite destination of the family when it comes to food trip. It's a semi-fine dining restaurant. The food are moderately priced, the restaurant is cool and the service crews are friendly. However if you'll compare it to other semi-fine dining restaurants like Cebu's Hukad (Golden Courie) it's still quiet far from it's ambiance, physical place and even service. But the good thing here is, management has been training there crews quiet well most specially when it comes to customer service. My personal favorite dish that is being served here is their Sizzling Beef Brisket (Beef with Kangkong) and my all time favorite Calamares (Fried Squid with Batter) (even if I'm allergic). He's singing talent is entirely new to me and for that past 3 or 4 years I have been hearing his name since He's my girlfriends' boyfriend. We haven't really met personally since our schedules won't meet (imagine for the past 3 years), busy bees indeed. Video's of him with my dear friend has been posted all over Facebook and YouTube, indeed that's what a proud lover can do huh! I haven't really paid attention that much as Raine ;friend of mine His Girlfriend (yes girl's taken na!) loves posting videos of simply anything under the sun (though I check most of it, but not really all only those interest me the most! :)). Not until David DiMuzio also starts publishing videos of him and his friend Carlo. Iliganon's are invading the Entertainment World! Purple Slipperz is hoping for a close encounter with Sol Apao one of these days. We'll try to know her more as an Iliganon, and as a world class performer. Walked along the cold streets of Baguio. From Burnham Park to the Cathedral and then to our transient house. The cold weather in Baguio is a perfect place for an exercise. No wonder "Pacman" loves to work out in Baguio. 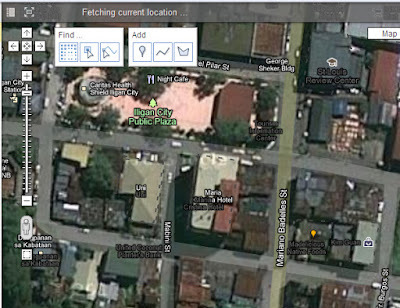 There are a lot of blogs already posted in Baguio. A lot of itineraries to choose. 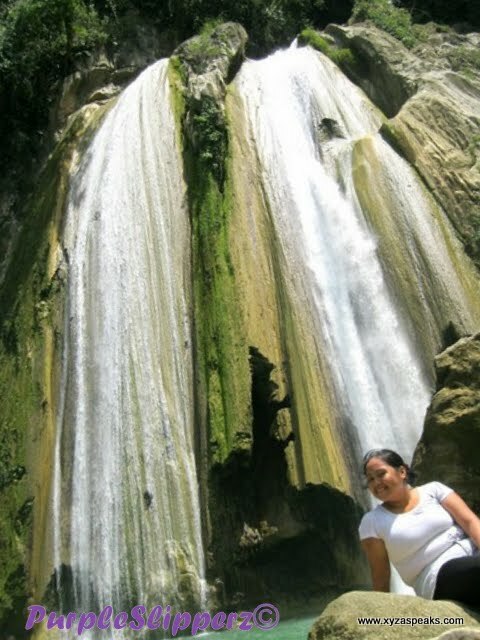 But I would love to make my own and discover on my own cheaper ways of Exploring Baguio. Hmmm I wanna do this again. I may not have the same people with me, but I'd love to reminisce the cold streets of Baguio...alone. This is an overdue post. Yeah I don't have a good alibi. But I was really too busy, too occupied or should I say too in love, to think about posting this at that time. Hmmmm that's quiet a nonsense alibi isn't it? February 16, 2009 on our last day in Baguio, we grab few hours to feel the strawberry plantation of La Trinidad. It's a next town from Baguio City. These is where you can get good prices for strawberry jams and fresh strawberries. If you want to pick it on your own, the farm owners will let you. And then you'll pay for it and take it home. We took an FX Taxi and since we're 8 we just cheaped in for the fare. I can no longer remember how much was that though. That was 2 years ago. 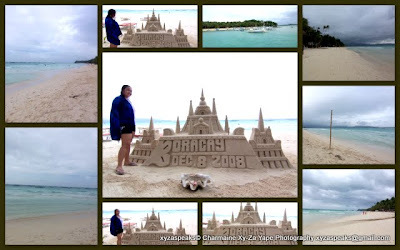 It has been almost 10 years since my last visit at Midway White Beach Resort. While I was searching the Internet I found out that Midway White Beach Resort is a budding Aqua Sport Resort here in Northern Mindanao. Though I have seen some pictures about the new amenities, it's really different when you try them. While planning for the gathering, majority wanted a wet adventure gathering and so we topped Midway White Beach Resort as our best choice. And indeed, the right choice! I am a guilty dormant mountain climber, yeah dormant because I haven't climb for more than 7 years and I'm guilty of gaining too much weight. That's why when friends from Iligan Bloggers Society planned for a trek at Hindang cave and Hindang falls, I hesitated to join. But PinayTravelista challenged my egos and so I'm joining. The trek will be tomorrow and I admit i haven't prepared so much on this. No physical exercise and a bit injured because of Pedicure massacre last Monday, lols. I'm trying to be optimistic though so here's the Original plan straight from PinayTravelista. Last October of 2011. Contacted Kuya Dodong 2 days before our planned trip. We have been constantly communicating making sure everything will run smoothly. Since we checked in in Muro-ami he docked his boat near the Panglao Church. The plan was already perfect however n a last minute the family decided to transfer toAlona Beach, we have to wake up super earlier than expected and drove to Beach Rock Resortto leave the things there and check in, then rush to the port side so that we can still catch Dolphins. Good thing the my siblings move as fast as they can we were able to go as scheduled. Indeed we saw dolphins! A feeling that you can't simply explain, seeing the smiles and excitement in my siblings face, the moment is priceless.